Is there doubt about the paternity of your child? Consulting a Muskogee paternity attorney can help you to begin to ease the doubt by legally determining who is the father of your child. Not only does it put your mind at ease, but Oklahoma law also requires an Acknowledgement of Paternity document that can be used for many benefits. If you doubt that you are the father of a child, it’s wise to find out all of your legal rights by consulting with a paternity determination attorney. A Muskogee family lawyer at Wirth Law Office can help. When the dispute between a man and the mother isn’t settled by negotiation, a paternity determination test may be required. 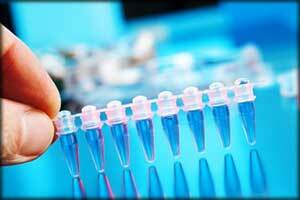 A paternity test is a medical procedure to determine who is the child’s father. While you can find paternity tests sold online or in drug stores, the advice of a Muskogee paternity attorney can provide you the confidence that the selected paternity test will be conducted in a legally defensible yet compassionate manner. The most common way to determine paternity in the state of Oklahoma is to collect a DNA using the painless Buccal Swab Specimen Collection. It’s a very simple procedure that is done by rubbing a cotton swab inside the mouth to collect DNA material in both the child and the man in question. According to the Oklahoma Department of Human Services, if the results are at least 99 percent, a judge will determine that a man is the father. In rare cases the court would ask for a blood specimen to be drawn to aid in paternity determination. For now things maybe be great between you and your child’s father while he agrees to support the child, but he may change his mind later. Or even worse, he could be injured at work or even die, which would affect you and your child’s financial future. Therefore it’s important to agree to find out paternity in order to set up court-ordered child support for the child. Additionally, it will help everyone involved to know any family medical history, determine health care coverage, or collect Social Security, any possible military benefits and of course inheritance. Just because you are able to determine paternity does not mean that a father has any visitation or custody rights. Under Oklahoma law, the child’s mother is presumed to have sole custody of a child born outside of marriage. By contacting a Muskogee paternity attorney, we also can answer questions about visitation arrangements. In addition, we can help the father understand his legal rights to go to court to seeking visitation. If you would like a free consultation with a Muskogee attorney about a paternity determination matter, call the Wirth Law Office – Muskogee for a free consultation today at (918) 913-0725 or call toll-free at (888) 447-7262. If you’d prefer instead to send us a message just submit the question form at the top right of this page. Either way you reach out to one of our paternity attorneys, we will be in touch.